What changes are you doing that makes you go via DA? Anyone else doing solar roof tiles by Bristile? Thought I’d share some of my progress as I’ve been super busy with work! Does your roof go on before the brick wash? The one I’m eyeing off is the Little Giant 17, it looks identical to your Werner even in functionality and rated to 150kg too. They need to know and record the proposed levels before approving. Council should be able to confirm what easement is there, either storm water or other. This may seem like an odd question but for the seasoned home handyman/woman I have a few questions around ladders as I’m looking to purchase shortly. I may have died due to moisture. Switch probably still works though. I’m no handyman but thought I’d share a response. I thought this was 5mm! I switched my termite protection option from the reticulated chemical option to the GranitGard physical barrier which only requires inspections. Old thread but still relevant. For turf underlay, what are your thoughts on this as I’m also on dirt and shale. Wondering if anyone went to the show today and has some feedback! What I did was visit the site and spray with with Zero every 3 weeks whilst I was in admin. Whilst I’m in Sydney, this is only my advice. My wife said the DEP doesn’t always have all the CVs in it. This is the peg out for your home. O/S 3m means your corner of the house is 3m towards the centre of that long side of the home. Btw where did they put your man hole? Great shot of the slab going down too! you are lucky! 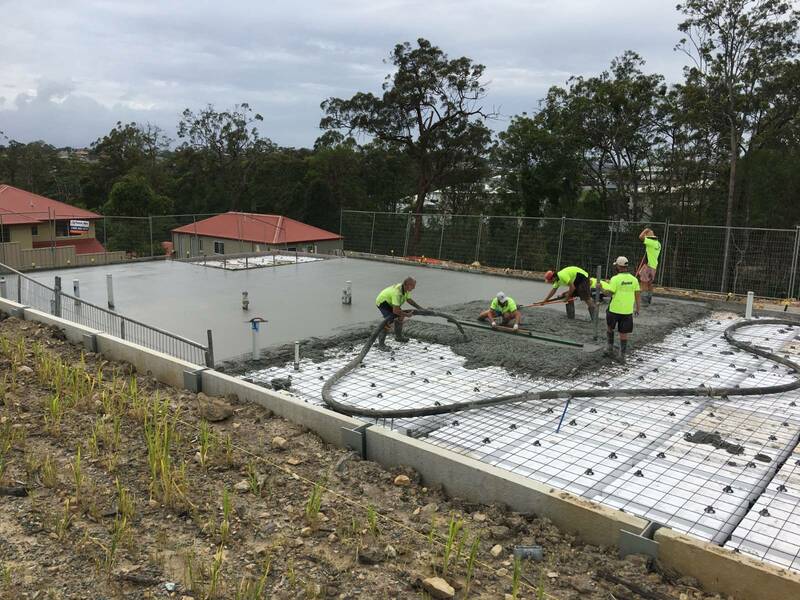 my builder was trying to get my slab down before Christmas but im now thining that it will be before Australia Day.